We had a nice laid back New Years Eve. With children it's hard to get out on New Years, but to be honest, Mike and I weren't much for going out even before we had kids! I'd definitely prefer to stay home! And even more so with the cold weather we're having right now! We even had SNOW again tonight! We spent our day watching football. Mike made gumbo! YUM! It was a good day. Reagan was sleepy most of the morning. She was awake, she was asleep. She was awake, then asleep. Finally in the afternoon/tonight she was mainly awake. Still very spunky and vocal. Squirming around a lot. Wanting that hand. Of course, I was the only one still awake at midnight! She and Mike were both passed out cold beside me! Happy New Year!!! Reagan was SUPER difficult to get to sleep last night. She fell asleep in my arms with the help of clonidine, but as soon as Mike picked her up to take her upstairs, she started going crazy. She was very vocal and slightly agitated and just NOT going to sleep. He tried for an hour or so, but she was still awake and kooky when he came to bed. She did eventually fall asleep, but I do think she probably woke up several times. Surprisingly, she's been in a great mood today. Still very vocal, but less sensitive. Wanting her hands shoved down her throat at all times, she had to keep her left arm in a restraint much of the day because she has a large crack right at her knuckle (her skin gets so dry from the spit it has a tendency to crack at the creases in her fingers). Sweet girl. I hope it heals quickly...keeping her in a restraint is not an easy task. Of course her other hand is getting the worst of it, she has to have something in her mouth! Hoping for continued good days. No nurse and no plans for new years eve. Just another quiet night at home, which is fine by me! Reagan has been a little kooky/vocal today! Gone are the days of total relaxation! She's been very spunky all day. I noticed right away a little sensitivity in her eyes, but it was later apparent she was pretty sensitive to noises/music as well. She was also NOT a fan of us talking to anyone but her! When I would come in and try to talk to the nurse, she would freak out a little (and settle down the second we stopped talking). She was also a little gaggy today, but usually just on her own hands she was trying to cram down her throat. Her nurse kept an arm restraint on her much of the day to prevent that. Tonight she was a little more laid back (not really sensitive to us talking or the tv), but still very vocal and kooky! Hopefully we can get this kooky girl to sleep tonight! Reagan has had another great day today. She was up a little early, but SO adorable and so precious. She's still VERY laid back and loosey goosey today. SO mellow. I don't think I've ever...EVER...seen her go four days in a row this laid back and calm. Not just her personality, but more importantly, her body! Hands are relaxed and laying by her side, legs completely still. It's so nice to see her at rest! She's been a little sleepy today as well. She had PT this morning and then took a nice long nap afterward. When she woke back up, she was a little burpy and grinding her teeth (first and only sign of any tension) but still very calm and relaxed. Hoping that's not a sign of things to come. Hormones could be responsible too, so maybe some ibuprofen is in order? Sweet girl. Really hoping the good days continue for her. I love seeing her this relaxed. Couldn't get a smile for my pic, but you can see how relaxed she is by her arm just hanging down beside her! It's been another great day for my girl. She's been pretty silly today. Very vocal, but that sweet giddy sort of laugh. Just so, SO precious. She had a great session of speech this morning and then a good session of PT after that. She's still very calm and relaxed in her body. So super snuggly. Tonight I held her for a long time and she just melted into me. I could just squeeze her and squeeze her! Love this girl SO much! Reagan had a ROUGH night last night. I was up a ton with her. Lots of crying/fussing. Even with medication, she wasn't able to sleep long. Poor girl. She was still very stressed this morning. Didn't want anyone to interact with her at all. It wasn't until this afternoon that she started warming up. It all started with Grandma, who was able to talk to her and even do her hair without her getting upset. Then tonight we were even able to bring her downstairs and she was fine. It would seem that she's turned the corner...at least that's what we're hoping. Praying tomorrow is a good day. If she's happy, we're happy! Let's just start by saying it's been a nice long stretch of good days. I was hoping maybe we could extend it until Christmas, but I unfortunately know that is unlikely. That being said, it wasn't a 100% bad day, but a definite big step in the wrong direction. Reagan woke up tense and has been very serious and tense all day. No one could get a smile or laugh out of her...not even Grandma! She also seems to be holding her urine, not an uncommon characteristic on her tense days, but one we hope to avoid. She took a nice long nap from about 10:30am-3pm. When she woke up (she was still dry), and she was VERY tense. I tried talking and interacting with her and it only made her worse. She got very bitey and I had to just limit my interaction with her. She got increasingly tense as the night went on and by bed time, she had pretty much gone over to the dark side. Crying and flailing. She'd calm down when I picked her up and held her and then sleep for a bit with the help of medication but then wake up irate way too soon. Poor girl. Really praying she can turn this around before Christmas. Reagan had another good day today. She's been pretty tense in her body, very difficult to stretch! Lots of hands shoved down her throat, but still super sweet. Holding her pees, so that's not good, but that's to be expected with increased tone. I'm starting to get a little nervous with Christmas approaching, since it's been quite a while since she's had a bad day (and she seems a little more tense in her body today). Really praying she has a good Christmas! If Reagan has a good Christmas...we all have a good Christmas! Reagan had another good day today. No nurse today, so it was challenging trying to keep her and her brother separated, but we managed. She only had one therapy today, OT, but she rocked it yet again! Her therapist brought her a fun snowman toy and they were playing a little game with it. 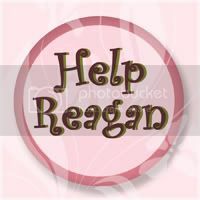 Her therapist would turn it off and Reagan would have to turn around and look at her to get her to turn it back on again. They did it over and over again and managed to get the last of it on video. So darling. Today was also a super special day in that Grandma came in AND Santa came to visit. Yes, that's right. Santa came to our house! We participated in an amazing program called Secret Sleigh Project where they match up medically fragile kids with local Santas! I actually found this Santa (a local photographer had used him in a photoshoot and included a link to his facebook page) and I put the organization in touch with him. It was a great day for him to come because Reagan was in such a sweet smiley mood! Both she and Ryan were thrilled with the visit! Reagan kept looking up at him over and over again. And Ryan, while a little disappointed there was nothing in Santa's bag for him, was super sad to see Santa go and he may have shed a few tears! Such a special visit! So glad we were able to make this happen! Today was the last day of school and while my girl woke up still spunky and sweet, my poor boy woke up miserable and feverish and had to miss his class party (boo). 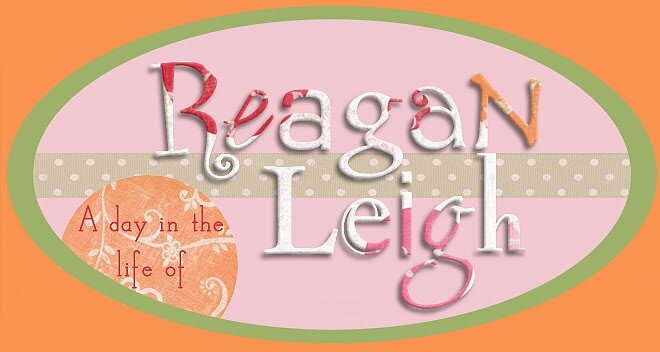 Reagan was great though and her teacher came up with the wonderful idea to bring her friend Carley over during her lesson. It was such a great idea! They worked on some fun projects and Carley helped out...both girls thoroughly enjoyed themselves. I took Ryan in to the dr this afternoon. The dr thought for sure he had strep based on the look of his throat, but when he swabbed for flu/strep/rsv...it came back as RSV! Great. Now the quarantine must begin. We kept Reagan upstairs the rest of the night with her air purifier close by. Ryan was still running a high fever tonight, so we're just hoping he is able to get some sleep! Prayers he starts feeling better soon and that Reagan doesn't catch it! My girl woke up this morning smiley and in a good mood. Whew! Wasn't so sure how today would go. She was difficult to get to sleep last night, very kooky/vocal. She slept well though. She did wake up once around 4am but she dozed back off and slept til 7:30am or so. She's been in a good mood today. Still a little on the kooky side, at times sounding upset, but she never actually got upset. She dozed off for a bit this morning and almost slept through speech, but she woke up just in time. She's been super spunky but good. She had a great session of speech and PT and then had school/vision this afternoon. She did well with everything. Such a precious girl. Hoping she can hold on and continue to have good days. Tomorrow her teacher wants to come and bring her friend from school. So fun! On a not so fun note, Ryan, who has been coughing and sniffly for a couple of days now, is running a full blown fever tonight. It's looking like he's going to have to miss his last day of school! Of course it would be most fun day of school too...his class Christmas party! :( Poor guy. Of course I've been baking and icing cookies like crazy for his class. Guess I'll have to take those up there myself tomorrow. Praying for a quick recovery and that he doesn't infect anyone else (especially his sister) right here before the holidays! Reagan had another good day today. She woke up vocal and happy. She was super sweet and smiley. A little more into her hands today, but still not as much as usual. She dozed off for a little while this morning and then woke back up for a bit. But she dozed back off and then stayed asleep for most of the day. She woke back up tonight with a bang and was quite energetic and vocal. Not laughy anymore, but still super smiley and adorable. She did get a little kooky before bed, but that may have just been gas related. She's had quite a bit of gas tonight. Maybe because she slept all day and couldn't get it out? Really hoping she settles down and gets some sleep tonight and has a good week this week! Only two more days of school and her teachers are all wanting to come before the break! Reagan had a good day today. She had a serious case of the laughs all day today. They were happy laughs though so that was good. Such a sweet girl. She was very interactive and making great eye contact. We had a nurse this morning for a little while and then a nurse tonight so we could attend Mike's boss's Christmas party (Grandpa came over for Ryan). We had a good time and everyone was happily asleep when we got home. Reagan had a great day today. She woke up a little sensitive and I was a little worried she might have another seizure (she was staring off into space a lot), but she was OK. She really was laid back and calm today. Very loose in her body. Relaxed hands that weren't even in her mouth! We rarely see that. At one point I looked at her sitting in her wheelchair and she had her hand laying palm up on her tray...totally relaxed. She did get a little spitty/hiccupy at one point, but that's pretty common when we see a decrease in tone like this. This afternoon she was very laughy. The cute laughy, not the crazed laughy. Darling girl. Hoping for a good weekend! Ryan had a good day back at school. He does seem to have a cough and a bit of a runny nose today. Hoping he hasn't picked up anything. It could be allergies as my nose has been bothering me as well. Fingers crossed we can all stay healthy over the break! Reagan is having a MUCH better day today, which is good because I have had my hands full with Ryan and his dental procedure. Ryan had a couple of suspicious cavities on his back molars that needed to be checked out under anesthesia (he won't tolerate them looking in his mouth much less xrays or fillings). Turns out he did need fillings and he also had a tooth that was a little crooked with a super long root that was going to cause his permanent tooth to come in crooked. The dentist made an executive decision to just pull that tooth while he was in there, so as to save any future issues with that tooth. So I was obviously really surprised when he walked in from doing what I thought were just fillings and handed me a tooth! Ryan did really well with everything and we were up and out of there very quickly. Sweet boy. He had to miss school today and he's been doing so well in school this last week! Hopefully he goes back and continues to have good days! Only a few days left before Christmas break!